This chapter introduces two items which are mandatory for any dataset which hopes to support the analysis of waiting lists. It was once understood that the direction and extent of any change in size was determined by the balance of ‘enrolments’ and ‘admissions.’ We can assess the effect on the size of the list of any increase (or decrease) in the number of admissions, if we know the numbers on the list at two points in time (at the beginning, and at the end, of the period) and if we know the number enrolled on the list and the number admitted from it during the interval. 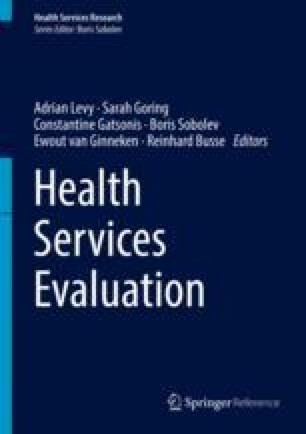 In the chapter, we show that one cannot determine how changes in the number of admissions affect the size of the list, if the number of enrolments is not known or we do not know how it has changed. Department of Health and Social Security (DHSS). Orthopaedic services: waiting time for out-patient appointments and in-patient treatment. Report of a working party to the Secretary of State for Social Services. London: DHSS; 1981a. p. 11. 24, 33, 42, 76, 80–1. http://nhsreality.wordpress.com/2015/01/. Accessed 11 July 2016. Hurst J, Siciliani L. Tackling excessive waiting times for elective surgery: a comparison of policies in twelve OECD countries. Paris: OECD; 2003. https://doi.org/10.1787/108471127058. Accessed 11 July 2016.